Cooper-Young resident, Apryl Childs-Potter, says that Cooper-Young is a safe place to live; a great community full of people that care for one another. This despite the fact that her home on Blythe Street was broken into two weeks before Thanksgiving. “I was at home by myself when the burglar kicked in my front door,” said Childs. Startled by the noise, she went to go check and found a stranger in her home. Childs then called the Memphis Police Department and gave them a description of the suspect. On November 14th the MPD called Childs in to look at a line-up of suspects. Just four hours after she identified the suspect as Courtney Chambers, he was arrested for aggravated burglary. “I was very surprised when it happened because you don’t think about something like that happening to you and then when it does you’re taken aback,” said Childs. Crimes like the break-in that happened to Childes have slowly increased in the Cooper-Young community since October. One of the most shocking was an armed robbery on Felix Avenue that left a 24-year old Cooper-Young resident in non-critical condition. More recently was the residential burglary that left Cooper-Young resident, Beth Lee, without Sofi, her 7-year old 25 pound beagle. The recent and unexpected rise in break-ins, burglaries, and violent crime in the past several weeks has left many Cooper-Young residents wondering what they can do to stay safe. 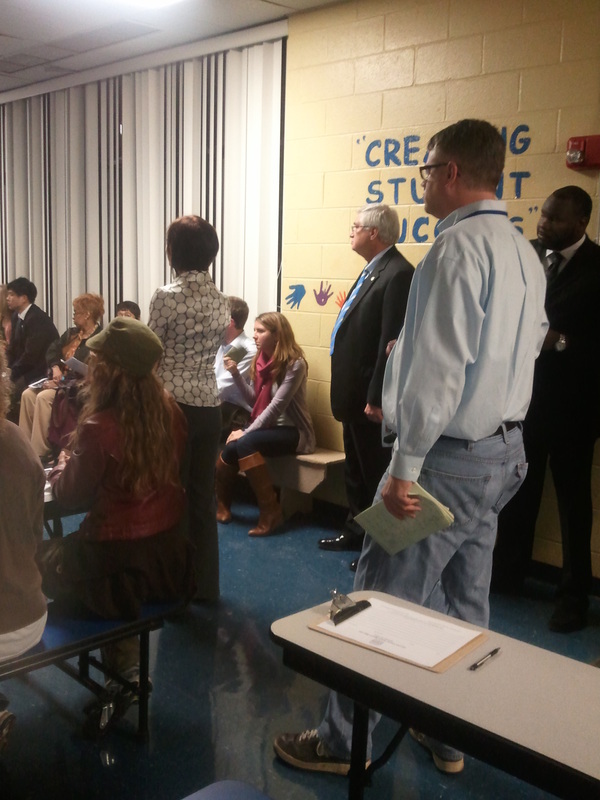 Last night, the community was able to address their safety problems to Memphis Mayor AC Wharton and his administrative staff, as well as the Memphis Police Department and code enforcement officers during a safety meeting at Peabody Elementary. Mayor AC Wharton started the meeting by talking about his current plans with the MPD that will place more security cameras in Memphis neighborhoods like Cooper-Young. Colonel Russell Houston, head of the Union Station, took the floor next answering questions and listening to suggestions that concerned community members. He told Cooper-Young residents that he wished he could put squad cars that run every eight minutes near everyone’s house, but since the MPD does not have the resources for that, that’s where the community comes in. One of the many things that the Cooper-Young Community Association does for the neighborhood is provide safety alerts when a crime has happened, but when Colonel Billy Garret retired from his position at the Union Precinct, the CYCA lost their liaison for providing timely safety alerts. Huntley said she wants residents to work with the community association, as well as the MPD, to help reduce crime in the Cooper-Young neighborhood. Huntley believes working together can only speed the process up of having readily available information for the public. “Being aware is one of the first steps and cooperation makes for quicker responses," said Col. Houston. "We have to collectively get involved." 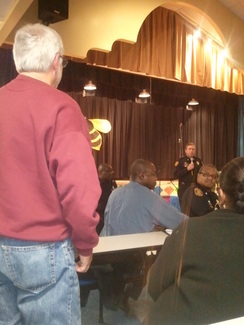 During the meeting, Col. Houston also gave tips on how to keep a burglar from choosing your home. He strongly suggested that residents look at their house critically from a criminal or stranger’s point of view. “Burglars look for signs that residences are vacant…no vehicles, mail pile-up, garbage cans left out,” said Houston. “Making your home look occupied is the key here,” said the Colonel. He also urged residents to get a security system, post security signs in their yards, improve their home lighting, and keep hedges trimmed. 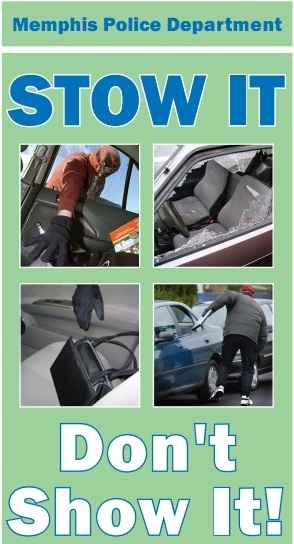 When it comes to vehicle break-ins though, the simple solution is stow it, don’t show it. The Stow it, Don’t Show it initiative, launched by the MPD, informs citizens to keep valuables in their car from plain sight when out holiday shopping or doing other activities. 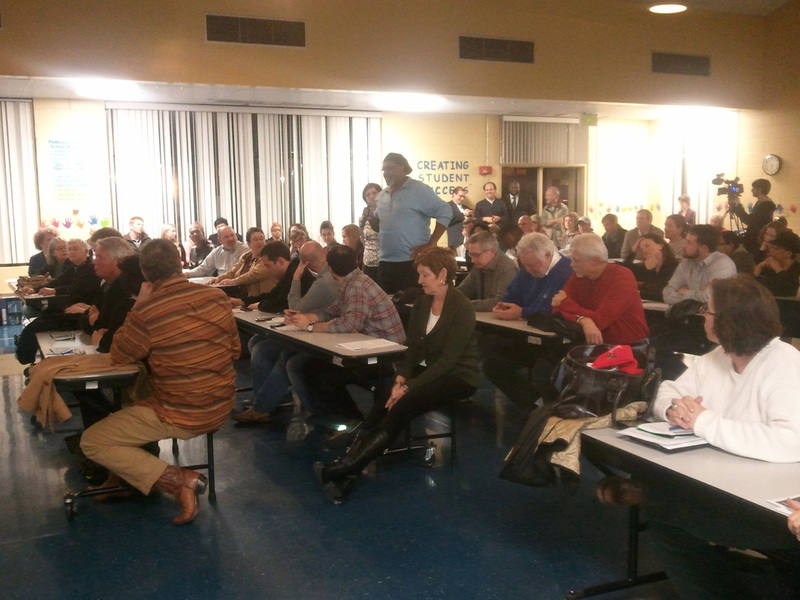 Other major concerns of the residents were the alleyways and the vacant lots or condemned housing with abandoned cars. One Cooper-Young resident asked, "How long does it take to get a [condemned] property taken away and how can we get that a little faster before I retire?" The distressed citizen said some property on Young Avenue has been condemned for over a year now and the empty house now is home to rats and many other problems. Steve Barlow, attorney for Brewer & Barlow said the most important thing can you to do, if you have some property right next door to you that has been condemned, is stay in touch with the Division of Community Enhancement. He said the "constitutional taking of a property" is a process that takes some time and a concerned, active neighborhood member is welcomed by the department. 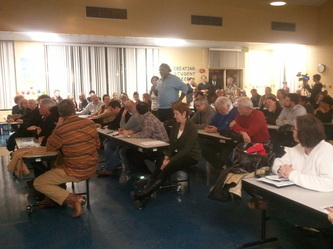 Steve Barlow answering a resident's question about vacant lots. Mayor Wharton continued to ask for neighborhood members to be active as he talked about his current lawsuits against blighted property owners. "Folks are hiding out in these houses, stashing stolen stuff and I have no sympathy for the absentee landlord," said Mayor Wharton. He continued, "We have a number of laws on these blighted vacant properties...so please get in touch with your state representative and state senator and support the bills we have." Near the end of the meeting, the Mayor announced that as a Midtown Memphis resident himself, he wants to do sweeps of vacant lots and get rid of the escape routes in the area. He also announced that there will be a new police station serving the Cooper-Young community on East and Crump Street. "I'm hoping that after this meeting people will get to know the MPD better and have a connection with the community association, as well," said Childs. "Most of these crimes have patterns and they are not random acts but really organized crime. They may not all be preventable," continued Childs, "but if we work together we can eliminate some of it." "To prevent crime before it starts get involved and report suspicious activity," said Col. Houston. To report vacant blighted property, call 901-576-6500 Code Enforcement. For non-emergencies call the MPD at 901-545-Cops (2677) and of course, 911 only for emergencies. 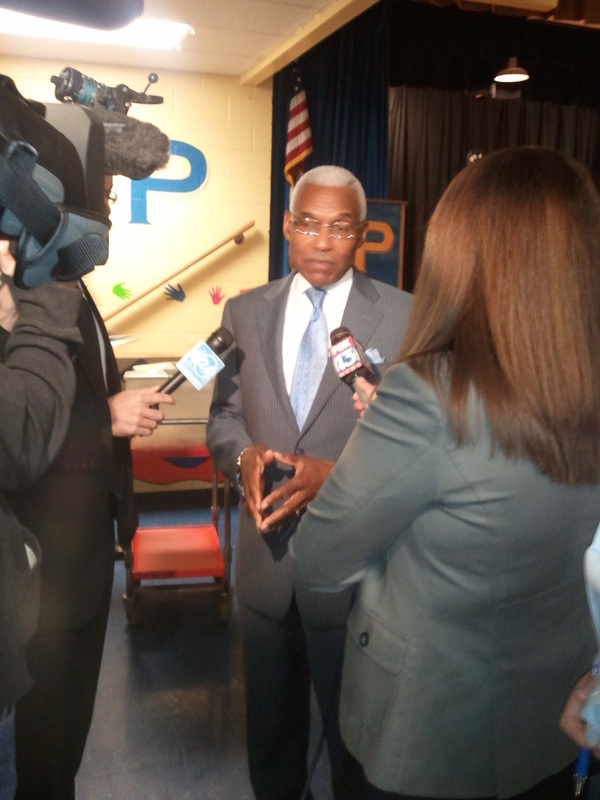 A Memphis 311 service, said Mayor Wharton, will begin this spring to help eradicate erroneous phone calls made to 911. For more information on the Cooper-Young Community Association call 901-272-2922. This is a Google map of crimes (burglaries, vehicle breaks ins, assaults (non-domestic violence) in the Cooper-Young neighborhood. All statistics are from the Memphis Police Department's CyberWatch. The location of crimes are within a one mile radius from roughly the center of Cooper-Young and occurred within the last three weeks. This map is in response to the recent rise in crime that has resulted in a community meeting with the Memphis Mayor and the MPD on what to do and how to stay safe. Click on the link below the photo for a full view. Below is our Storify of Tweets sent out during the Cooper-Young Safety meeting. The suspects have been pulling into driveways during daytime hours for the break-in, so please be attentive to any unusual cars parked at neighbor's homes during the day. The suspects' SUV is one of their most distinguishing characteristics and has been consistent in all the incidents. We ask that all residents please keep an extra watchful eye out. The police are on patrol, but the more eyes on the street watching for suspicious activity the better. If you see someone or an unusual vehicle matching this description, please contact the Memphis Police Department immediately at 545-2677 or 911 if a possible break-in is taking place. Get on The Cooper-Young Community Association Email List so you will always know the latest neighborhood news. Ashli Blow covers development for MicroMemphis. Adam Douglas covers food & drink and recreation for MicroMemphis. Send him story ideas here. Follow Adam via Twitter @ajjourdan.